Cost: The class fee is $480 per person, with half due at registration and half due one month out from class start. One month out, if there are enough people for the class, we will send everyone a reminder that the other half of the registration fee is due at that time. If the class does not have enough registrants at that time, we refund the deposit fully. Otherwise, the deposit is non-refundable. Class: Your class consists of two consecutive weekends. Classes cannot be split between weekends in different seasons. There are eight 3-hour sessions that make up the Beginning Class, for a total of 24 hours of instruction. Class takes place on two weekends: on Fridays 5-8 pm; Saturdays 9-12 am and 2-5 pm, and Sundays 2-5 pm (for a total of four class sessions each weekend). 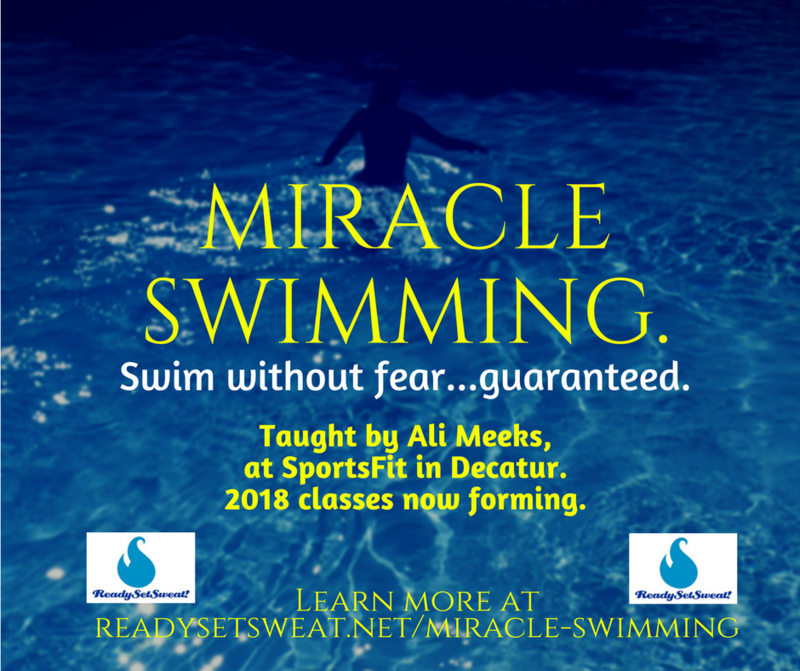 Each 3-hour class is 1 hour of classroom discussion and 2 hours in a very warm heated indoor pool. Makeups: Please understand that, with the format of the class wherein each session builds on the one prior, makeups will not be possible or desirable for you as a learner. Location: SportsFit, 2506 Danville Rd SW, Decatur, AL. Contact: An email will be sent 3 weeks prior with final instructions, but please feel free to contact Ali Meeks with any questions at trainer.ali.meeks@gmail.com or 206.779.9425 (note area code is not 256).